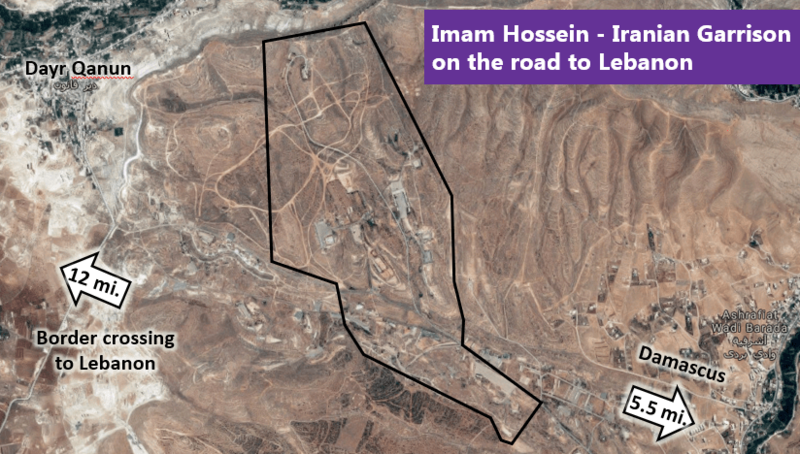 Aerial photograph of the Iranian induction and recruitment center in Syria presented by Ambassador Danny Danon to the UN Security Council. Israel’s Ambassador to the United Nations Danny Danon addressed the UN Security Council debate on the Middle East and presented new information about Iran’s presence in Syria, including an aerial photograph of an induction and recruitment center for Shia militants. On the Iranian nuclear deal, Danon noted that in two and half weeks the United States will announce its decision regarding the fate of the Joint Comprehensive Plan of Action (JCPOA). “President Trump is focused on these important changes because he knows it will make the world safer. All the signatories of this agreement must now make a choice. Do you support these necessary changes? Or, will you choose to enable the Iranian regime that supports terror and is attempting to take over the Middle East?,” he asked. Earlier in his remarks, Danon spoke about the Hamas-driven violence being carried out at the security fence along Israel’s border with Gaza, and how the terrorist group is once again exploiting the most vulnerable of its population as human shields. “Throughout the riots of the past month, Hamas has used innocent Palestinian women and children as human shields, while they cowered behind in safety,” he pointed out. 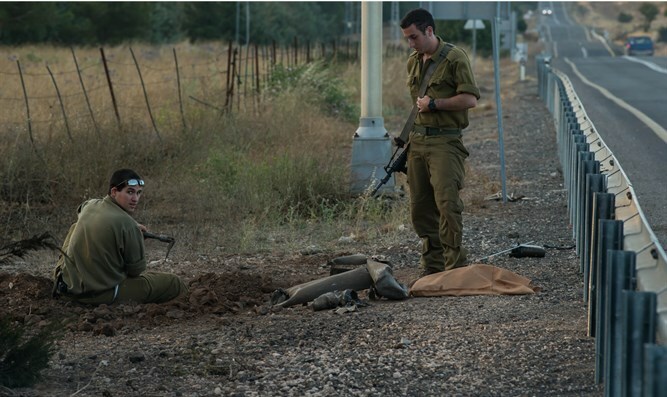 “The terrorists are hiding while allowing, even hoping, for their people to die. This is evil in its purest form,” he said. 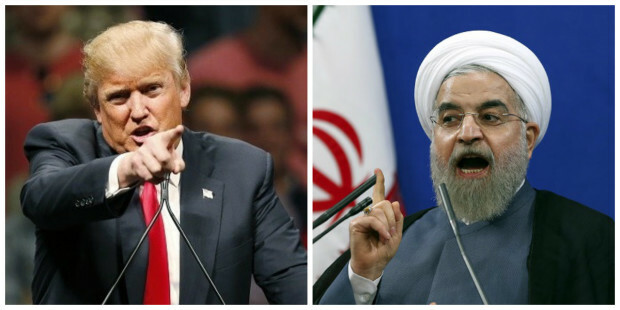 Defense Minister Avigdor Lieberman warns Iran not to test Israel amid mounting tensions • As U.S. President Donald Trump nears decision on Iran nuclear deal, Iran’s supreme leader calls on Muslim nations to unite against “bullying” by U.S. and other enemies. Defense Minister Avigdor Lieberman issued a stern warning to Iran Thursday amid an onslaught of recent threats from Tehran. In a rare interview with the the Saudi-owned online news portal, Elaph, Lieberman said: “If Iran attacks Tel Aviv, Israel will attack Tehran,” adding that Israel will not hesitate to confront Iran in Syria if it tries to establish a permanent foothold in the country. “Israel will destroy every Iranian military site in Syria if it becomes a threat to us, regardless of the cost,” Lieberman said. Earlier this month, a number of Iranian officers, including a senior commander in the Iranian Revolutionary Guard Corps, were killed in a strike on a Syrian base. Foreign media attributed the attack to Israel, and Iranian officials have vowed to avenge this attack with a painful blow to Israel. Also Wednesday, French President Emmanuel Macron, on a state visit to the U.S., called on Washington not to abandon the Iran nuclear deal as Western envoys said Britain, France and Germany were nearing a package aiming to persuade U.S. President Donald Trump to salvage the pact. Trump has described the 2015 accord, under which Iran agreed to curb its nuclear activities in return for the lifting of economic sanctions, as the worst deal ever negotiated, and has threatened to “shred” it by reimposing U.S. sanctions next month unless its “terrible flaws” are fixed. Capping a three-day visit to the U.S., France’s Macron told a joint meeting of Congress that the 2015 deal, formally known as the Joint Comprehensive Plan of Action, was not perfect but must remain in place until a replacement is forged. Israeli Intelligence Minister Yisrael Katz said Wednesday that a newly proposed U.S.-European deal on Iran’s nuclear program might dissuade Trump from abandoning the current agreement between world powers and Tehran. In a radio interview, Katz stopped short of saying whether Israel – which has called for the 2015 nuclear deal to be “fixed or nixed” – backed a separate arrangement put forward by Macron. 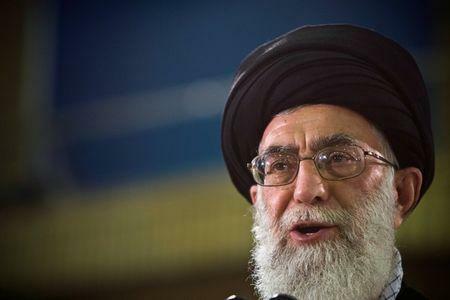 Iran’s president on Wednesday ruled out any changes or additions to the 2015 nuclear deal. Speaking at a conference in the northwestern city of Tabriz, Rouhani asserted that Macron has no right to amend an agreement that was signed by seven nations. 77th Battalion commanders since its establishment gather in Valley of Tears: ‘Power stemming from joy of giving, love of Land. 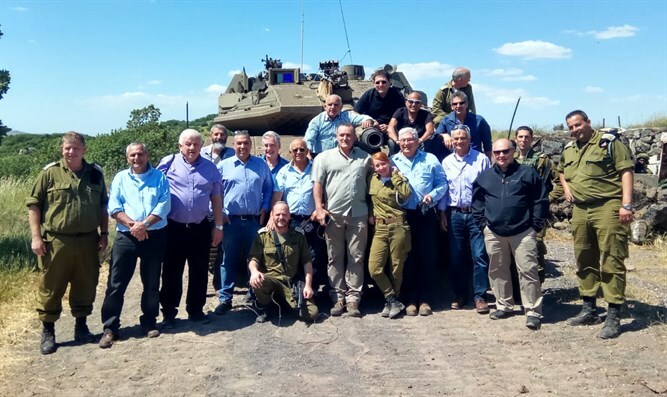 Since its establishment, commanders of the Oz 77 Battalion have gathered together at Kibbutz Al-Rom, reminisced, shared photographs, and recalled shared experiences of the 7th Brigade. 7th Brigade Commander Col. Roman Gofman attended the latest meeting and spoke with gathered commanders of the 7th Brigade’s spirit, the brotherhood among the fighters, brigade operations, and today’s increased motivation to enlist in the IDF. 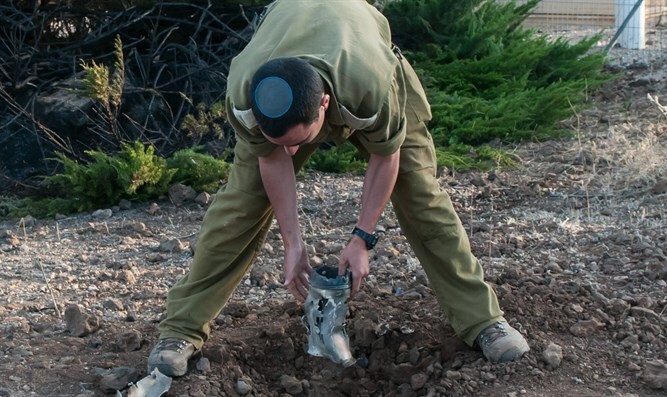 Current Battalion Commander Lt. Col. Shaul Yisraeli said “the Oz Battalion is an ethos that expresses the sense of responsibility and mutual accountability in the cleanest possible manner. A power that stems from the joy of giving and love of the Land. 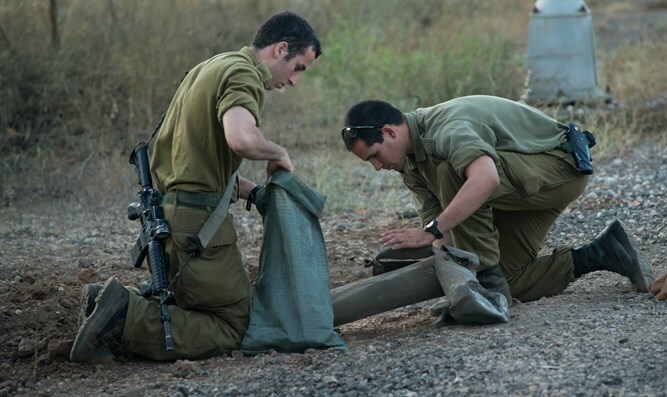 “I could feel the concern, the love, and the deep connection to the battalion, the 7th Brigade, and the IDF, as if everyone was really still the Commander,” related Lt. Col. Yisraeli. 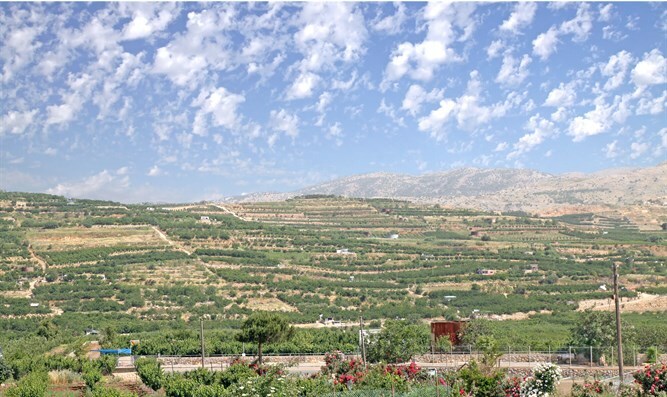 From Kibbutz Al-Rom, the commanders continued to tour the Valley of Tears, where the battalion fought in the battles of the Yom Kippur War. 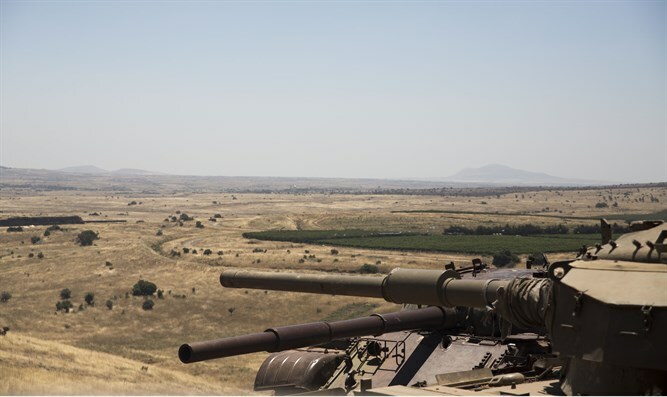 During the difficult battle, the Battalion’s soldiers demonstrated colossal courage and resourcefulness, blocking the attack of some 160 Syrian tanks. Later, the Battalion penetrated the Syrian border and assisted in the conquest and possession of an enclave on Syrian soil. Many of the battalion commanders received different medals for their performance in the war. Today the battalion is deployed in the same sector as that difficult battle with unified commanders and fighters, and with best in technology and resources, standing in constant readiness.